In Spring I will be at the Tom Bishop Chicago International Show for the first time! I finally visited the show last year and was amazed by the sheer size, and excited to see the variety and quality of the offerings in both the dealer room and the classes. I'm looking forward to connecting with old friends and making some new ones. 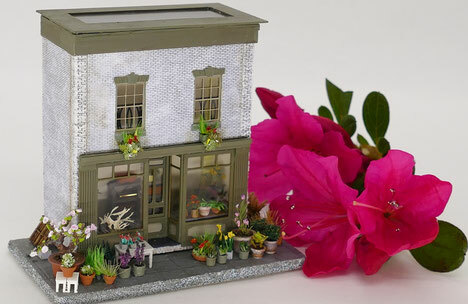 I plan to have a few new items on my sales table--including the 1:144 flower shop that is the new picture on my home page. On Thursday, April 25 come join a one-day class where you'll make a Miniaturist's Worktable -- perfect for your 1/12 scale workroom. As always--there's lots of fun to be had and you'll use unique or hard to find items in project. Everything pictured will be supplied. 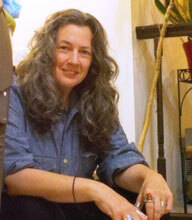 Kate Esme Unver has pulled off a tour de force -- a book on miniatures that celebrates both the traditional and the new. You'll find your favorites and meet many new artisans. You can find out more on her website, or go to your favorite bookseller for this new, very well-priced coffee table book (and yes, this is self-serving because I'm one of the miniaturists she included!). Every project provides unique challenges and opportunities to learn from mistakes--both the ones we make and the ones we don't! For a peek at my projects and the occasional tutorial, visit my blog. 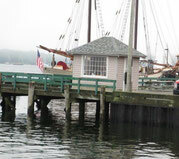 Each year, the International Guild of Miniature Artisans hosts Guild School in Castine. Students explore a variety of projects and learn new skills from some of the world's best miniature artisans. It's a week chock-full of learning and doing, networking and sharing, and even a bit of shopping. The Lobstah doesn't hurt, either. Nothing is for sale at the moment, but occasionally I will offer one-off (or two-off) items for sale. Come visit me at a show, or write me. 1/144 scale flower shop. So glad the azaleas are in bloom! Welcome to some like it small! My approach to developing a 1/144 scale or other small scale interior is to use everything I can find, work with, or create, to present an interior that has the feel, complexity, and textures of life. Small scale affords an almost limitless opportunity to experiment with every material that a miniaturist might use. I love natural materials too much not to bring them into my interiors. Even small scale can take advantage of the richness and tactile qualities of the different woods that are available. In my interiors you will find maple, walnut, cherry, bubinga, ebony, tulipwood, pear, boxwood, rosewood, and many other woods, including burls. Nothing quite matches the touch of fabric and its cousins. Enjoy the drape of a fine silk, the almost weightless feel of thin skiver, the coolness of ermine, the three dimensional look of needlepoint. "Repurposing" expands the frontiers of small scale. Keep an eye out for evidence of our technology-rich consumer culture. Without beads, etched brass, watch parts, pins, styrene shapes, and other objects made both for miniaturists and for other purposes, small scale interiors would be much less interesting. All content copyright Fran Sussman 2018. Please cite this website if you link, copy, or reproduce any material.